Bryan Black returns to his industrial roots with a performance at this year’s ColdWaves V, speaking with ReGen on the evolution of his corrosive techno stylings over the course of over two decades. Never one to skimp on exploratory sound design, Bryan Black has proven over the course of his two decades of making music to be the ultimate minimalist. Having spent his early years working at Prince’s Paisley Park Studios as a sound designer, Black’s experimental style struck a chord with the ’90s coldwave scene with his first band, Haloblack, blending sultry grooves with caustic beats and corrosive static noises. Over the course of three albums, he would collaborate with members of PIG, My Life with the Thrill Kill Kult, Die Warzau, and 16volt, and serve as one-third of the H3llb3nt collective. 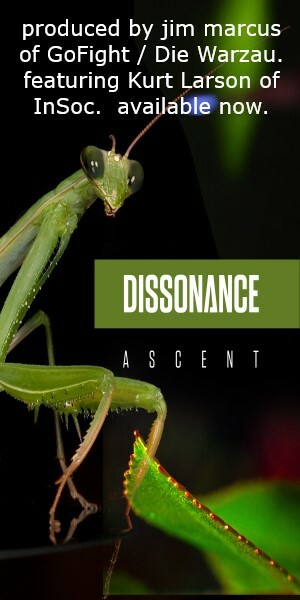 Black subsequently shifted gears away from the industrial/rock leanings of Haloblack and the trashy electro-pop of XLover toward a more rhythmic EBM/electro oriented style with his longtime collaborator Olivier Grassett – a.k.a. Mr. No – with MOTOR, lasting for several albums before once again opting for a different approach with Black Asteroid. Effectively Black’s solo project, Black Asteroid demonstrates his propensity for sparse atmospheres, abrasive textures amid straightforward beats, and minimal yet insinuating vocals; a decidedly more techno oriented project that anything Black has explored before and yet a logical progression of all that has pervaded his music from the very beginning. In September of 2016, Bryan Black will be returning to the world of industrial music as Black Asteroid joins the esteemed roster of this year’s ColdWaves V event, performing the Saturday after-show. Black was kind enough to speak with ReGen about the development of his craft over the years, culminating in his current exploration of technoid rhythms and minimal electronics and his return to his industrial roots, even sharing some memories of his experiences with the recently departed Prince. You’ve been spearheading Black Asteroid for the past five years now. 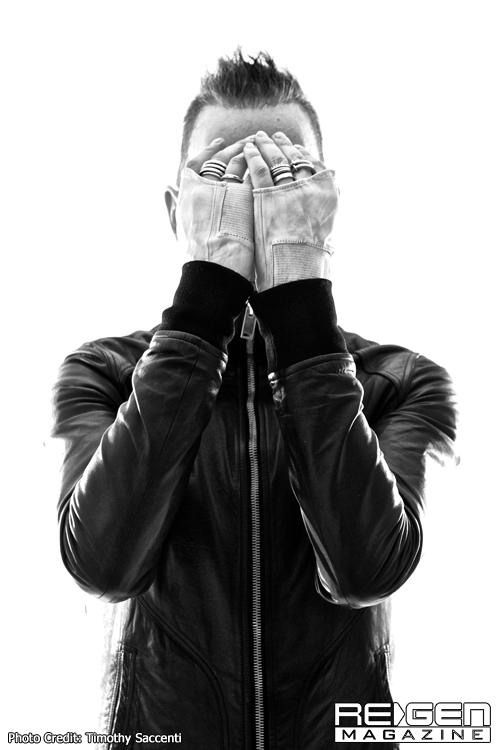 In what ways has Black Asteroid enabled you to pursue avenues of music and production compared to your past outlets (i.e. MOTOR, Haloblack, etc.)? Black: I’ve taken all the things I’ve learned from those projects and put them into Black Asteroid. I’m also my own boss again, which feels nice. I don’t have to compromise my music in any way and am open to explore and experiment in any way I want. I’m making techno with a different approach than others, which is fun. I am writing techno in a traditional pop song format as I get bored with loop based music. Most of your releases with Black Asteroid have been shorter EPs and singles, and this seems to be an approach many artists are using in the digital age. What are your thoughts on the album format, both in the world of music as a whole, and how it pertains to you specifically? Black: I love the LP format. I still think in terms of a 10 track LP, two sides. I like the idea of writing album tracks, which have space to be deeper, more experimental, and not competing for chart positions. The LP format doesn’t apply so much these days, and there is no physical format for it to exist anymore. For a dance album, it takes four pieces of vinyl. The CD is dead. Having said that, I will always write with the LP in mind – it’s engrained in me. The romantic notion of making an album will never leave me. For the dance market, an EP is a way to launch new music and excite the market without the long haul commitment of an LP. 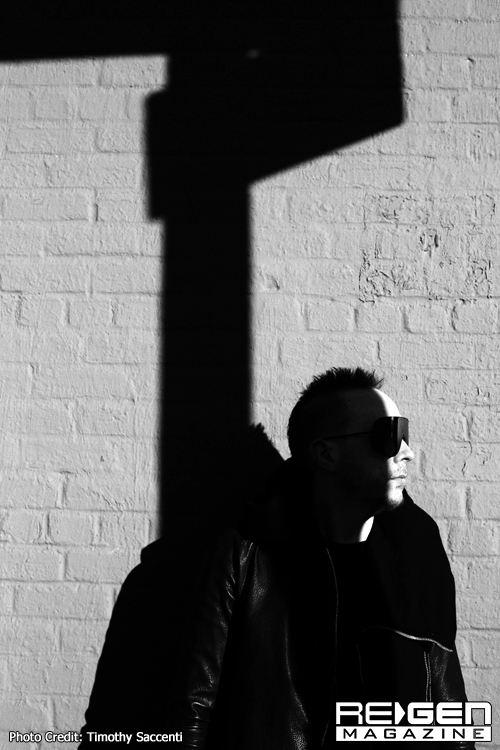 Also in Black Asteroid, you’ve collaborated with the likes of David Meiser and Cold Cave – how did you come to work with them, and in what ways do your feel those collaborations took Black Asteroid’s music to the next level? Are there any other collaborations you have in the pipeline that you’d like to share with us, or any that you’d like to see happen? 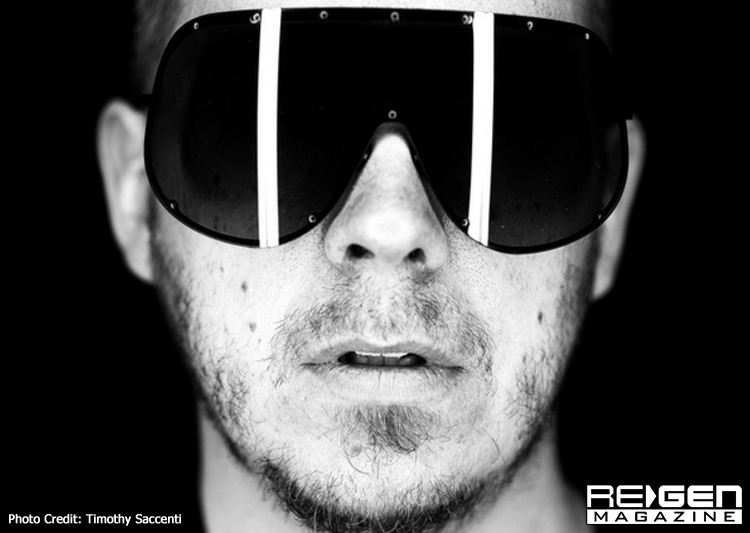 Black: I remember being in the studio with Chris Liebing, mixing down ‘Black Moon,’ which was an instrumental at that time with another name. We kind of said how it would be amazing with a vocal, and then from there, I made a list of vocalists, and Cold Cave was at the top of that list. My friend Douglas McCarthy introduced us, and we eventually recorded three songs together, all of which will be featured on my LP. I also enlisted Zola Jesus, Camouflage, and Michele Lamy as vocalists. You’ve been recently announced as one of the performers at this year’s ColdWaves festival. What are your thoughts on how ColdWaves differs from other festivals? What makes ColdWaves special in your mind that you decided you wanted to take part in this year’s event? What can fans expect from your performance at CWV? Is there any chance we might hear some tracks from your past creative outlets? Black: Well, for me, it’s just a great opportunity to pay tribute to the scene which launched me. I have somehow never let go of that movement. Industrial music has been a signature in all my music, so it’s nice to be able to see it full circle. I will be playing a more industrial/techno set and I hope to weave in some older material. Much of your music, while loved and appreciated by the industrial scene, seems to have always had its pulse firmly in techno and minimalist electronica – what are your thoughts on the way your particular style has found its footing in these different scenes? Black: I lost interest in the industrial scene when it went heavy metal. I was always attracted to the sampling side of things – playing shows for $50, and traveling the country in a broken down van lost its appeal after the second record. I met someone during the recording of my second album, and we moved to London. I became a graphic designer and studied the visuals arts with the idea of becoming a filmmaker. At this time, I rediscovered techno music and had an idea to make techno with an industrial heart, and that’s how I got back into the game. How important is it for you to keep up with the latest developments in music technology? What is exciting you the most in that regard, what new gear or software is appealing to you at the moment? Black: I am working with some modular synths at the moment, but otherwise, I avoid technology trends. I don’t believe in using presets – I spend insane amounts of time designing sounds from scratch. You had begun your career working with Prince as a sound designer at his Paisley Park studios; given his recent passing, are there any thoughts or anecdotes you’d like to share about your association with him? Black: His work ethic is something I will never forget. He was also the best at every instrument he played. He lived and breathed music 24/7 in a way I’ve never experienced. I’ve written about this subject for a Prince book being published in Japan. 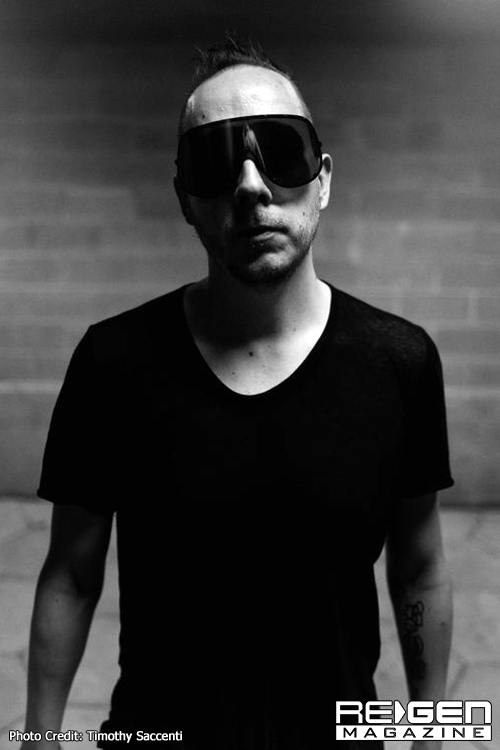 What’s next for Black Asteroid? Black: I started a label and released an EP recently. I am talking to a few labels about releasing an LP now. I am touring on most weekends now. I’ve also been approached to write for a major motion picture out in Los Angeles, so I’m excited to experiment with that format.